A dementia-focused community development is set to open its doors to its first residents this month in Hampshire. The Brendoncare Otterbourne Hill facility offers a full-range of care and support for those wishing to live independently through to end-of-life-care. Brendoncare Otterbourne Hill offers 20 purpose-built one and two bedroom apartments for individuals and couples affected by dementia, enabling them to live together in their own home with ‘shared’ care, respite and emergency support available 24 hours a day. 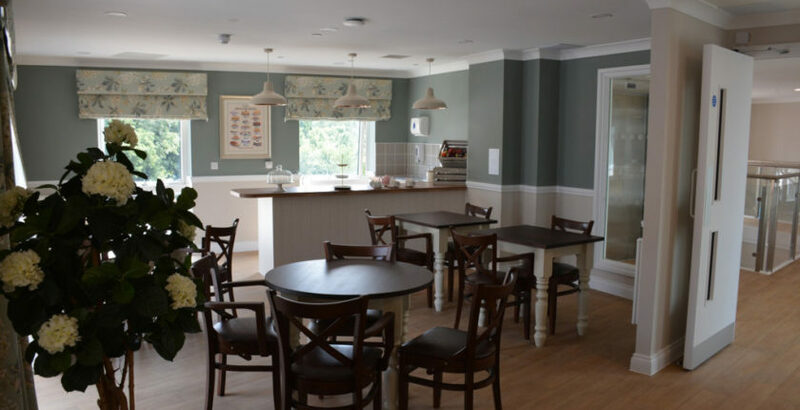 The home also offers a 64-bedroom care home offering specialist nursing and dementia care, respite and end-of-life care so residents can stay in familiar surroundings, with a care team they know and a dementia-friendly community and resource hub, with a restaurant, café facilities, activities and Brendoncare Club services for residents and people from the local community. Brendoncare’s chief executive, Carole Sawyers, said: “This is an exciting time for us. We are delighted to be pioneering a new concept in dementia care and supporting people living both at Otterbourne Hill and in the local area. Families will have peace of mind knowing their loved ones will be looked after for as long as is needed. We very much look forward to welcoming our first residents”. Brendoncare is a registered charity with over 30 years’ experience of caring for older people. Its ‘Care for Life’ promise means that no one will have to leave their Brendoncare home because of a change in financial circumstances.